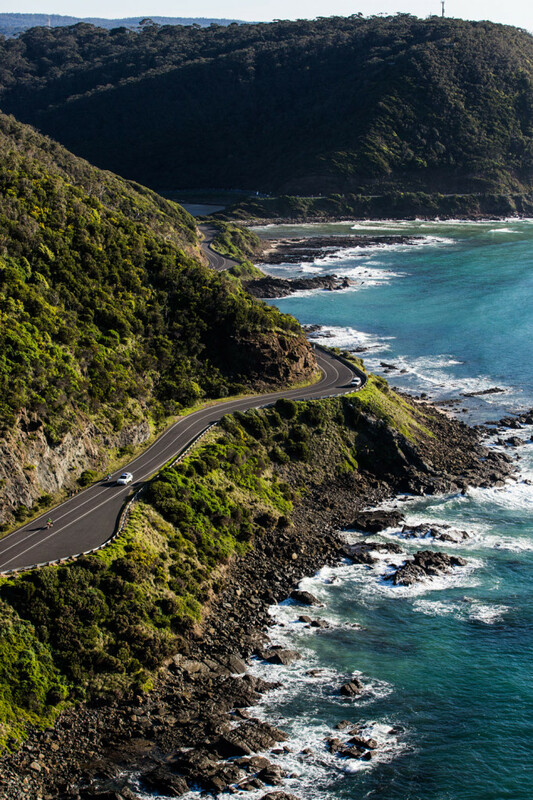 For 364 days a year, Victoria’s iconic Great Ocean Road is littered with cars, beachgoers and tourists who meander along the twisty coastal road to escape hectic city life. For one Sunday in September though, that same road is completely closed to traffic. It’s a massive logistical effort to entirely close any road – let alone one that doubles as one of Australia’s most famous tourist destinations – but the Amy Gillett Foundation has managed to do so, and in a short span of time has created a spectacular event to match the superb coastal setting. I was recently one of 4,000 cyclists rubbing shoulders on the Great Ocean Road as part of arguably Australia’s most popular gran fondo. I’ve ridden in authentic Italian gran fondos – as well as Australia’s hardest ‘sportif’, the 3 Peaks Challenge – but this was something else. For starters, we were blessed with stunning weather. Given we were snaking our way along the coast of Bass Strait, the wind could have easily turned cold and nasty. The courses on offer were also perfectly suited to any level of ability and fitness. There was a ‘Gran Fondo’ of 110km, a ‘Piccolo Fondo’ of just 14km, and a ‘Medio Fondo’ of a leisurely 40km in between. Add to this the fact that Amy’s Gran Fondo is one of the few amateur races in the world with UCI accreditation attached. ‘The top 25% of timed finishers in each age group gain qualification to the UCI World Cycling Tour where riders have a chance to race for the rainbow jersey and the right to call themselves a world champion,’ says Simon Gillett, patron of the Amy Gillett Foundation. And if being eligible to race in the World Championships in Slovenia in 2014 wasn’t enough, did I mention the $20,000 pool of prize money on offer? Amy Gillett’s tragic death in 2005 changed Australia’s sporting landscape and created a legacy for all cyclists. Gillett died after being hit by a car in Germany while out training with her Australian women’s cycling team-mates.  The impact of this incident on both elite and recreational cyclists, and the subsequent focus on road safety, has been immense. Inspired by Gillett’s life and passion for the sport, the Amy Gillett Foundation was created by Amy’s husband, Simon Gillett, with the goal of eliminating bike-related deaths. The Foundation’s most resonating message – ‘A Metre Matters’ – continues to urge politicians and bureaucrats to legislate mandatory distances, which must be followed when drivers overtake cyclists. Amy’s Gran Fondo, meanwhile, raises vital fundraising dollars to allow the Foundation to achieve its goals. All proceeds are redirected back into cycling safety research, advocacy and educational campaigns and programs. Simon certainly recognises the prestige generated by the event since its inception. ‘Starting in Lorne and riding along the iconic Great Ocean Road before turning into the Otway Ranges, the Gran Fondo already has a reputation as the event not to be missed,’ he says. The course for Amy’s Gran Fondo includes nearly 40km along the Great Ocean Road, two main climbs, a fast and technical descent and plenty of refreshment stops along the way. While many riders were returning to Lorne for another crack at this epic event, I was lining up for my very first time. Gran fondos are essentially timed events, so securing the fastest time is more important than simply being first over the finish line. As a result, there’s significant strategy involved in order to get a good result. You’re not racing against other riders; you’re trying to beat the clock. The transponders don’t start until you cross a pad about 2km after the start. With 4,000 cyclists heading off in waves of 200, the trick to getting a fast time is starting in the second or third wave and moving up through the massive bunch along the Great Ocean Road to get to the front. It was a strategy I failed to employ. Despite starting with the first wave, I was under strict instructions to pull off to the side of the road and wait for the second or third bunch to roll past, then jump on with them. Hesitation and inexperience cost me dearly as hundreds of eager riders from the first wave flew past. In a panic I took off like a rocket, not wanting to get stuck on my own between the first and second waves. I triggered the timer in the meantime. Rookie mistake. A team-mate who started in the third wave caught up to me at the 30km mark. Despite getting to the front with me, his time was nearly three minutes faster than mine, and we hadn’t even started climbing. The mass of both elite cyclists and weekend warriors resembled a heaving peloton as we charged towards the 38km mark. It’s at this pivotal moment in the race (sorry, I mean ‘mass- participation ride’) where riders turn off and head inland up the Skenes Creek climb – the major ascent of the day. And turn they certainly did. There was a small crash as we swung off the Great Ocean Road and encountered a small traffic island, catching a few participants out and putting them on their backsides. I’m sure everyone recognised the irony of crashing during a mass-participation ride created in the name of fostering greater road safety. 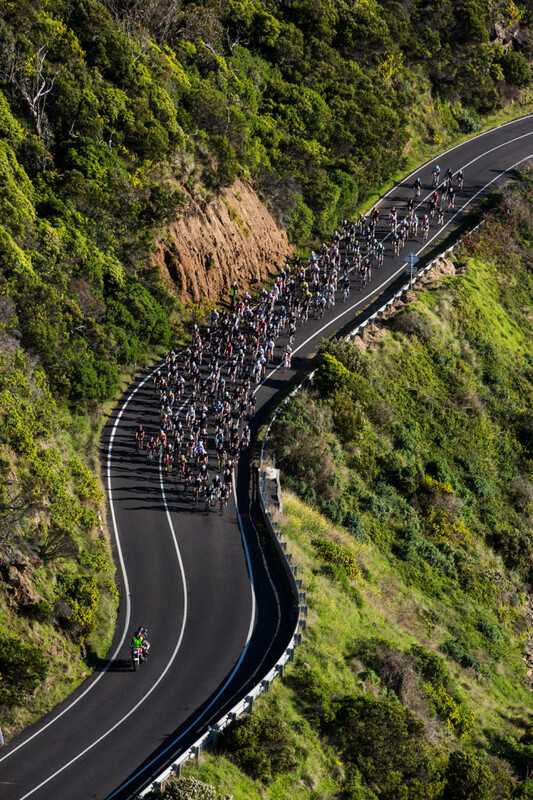 Having said that, when you put 4,000 riders on the glorious Great Ocean Road with full road closures and police escorts you’re going to get a few riders pushing their limits and coming off – it’s inevitable. Thankfully, I didn’t hear of any serious injuries, aside from the odd bruised ego. We began the climb at a steady pace, with representatives from the Target-Trek Racing and African Wildlife Safaris (AWS) teams at the front. A number of sharp accelerations from riders trying to get away early saw a split in the bunch, and a breakaway of a dozen riders – myself included – began grinding their way up the 9km climb. The climb itself is challenging with the gradient constantly changing, making it hard to get into any sort of rhythm. Even though I was suffering, I was able to appreciate the scenery. With Bass Strait behind and to the left, the higher we climbed, the more it seemed we were riding straight into a lush rainforest. Despite my average legs, I was hanging in there as we crested over the Skenes Creek climb. After descending for 15km we had just under an hour of mostly flat roads ahead of us before we turned back again towards Lorne and over the final climb of the day. The AWS riders continued to push the pace along and make use of their six riders in the front group. Given their strength in numbers I was expecting AWS to send riders on the attack in order to make everyone else chase. We were 25km from the finish, with the final climb from Deans Marsh fast approaching, but the strongest team seemed to have a different plan. We turned right to head back towards Lorne and the coast. In front of us was 10km of climbing, the final rise before the finish. The climb was effectively three ramps, and it was clear that AWS’s plan was to use their numbers, set a hard tempo up the climb, and just ride everyone off their wheel. I was starting to feel better as the race went on, and was happy to let AWS dictate the pace. As we neared the top of the climb I could tell there were some tired legs around me. When an AWS rider jumped off the front as we crested the second ramp, I immediately followed him. I looked back at what was left of the front group after I reached his wheel and could see daylight back to the bunch. ‘Let’s go, we’ve got a gap,’ I yelled. We had less than 5km to go, so I was keen to give it everything till the finish. It was now or never. My AWS companion did a few turns but he wasn’t going ‘full gas’ as they say, given that he had five team-mates waiting to pounce in the chase group behind. With 1km to go the road kicked up for one last pinch to deaden the legs even more. I was on the limit when my fellow breakaway rider hit out with 800m to go. I couldn’t respond, and suffered as two riders from the chase group passed me in the dying moments. I was fourth over the line, but given my mistake in setting off with the front bunch at the start I only had the eighth-fastest time on the day. The best part of the ride was still to come, however. The 11km descent back down to Lorne from Benwerrin, on closed roads with police escorts, was simply amazing. The actual ride had finished, but the organisers arranged for groups of riders to descend with marshals to ensure all got back to Lorne in one piece. Dropping back down to the coast along the slightly technical descent is definitely the highlight of the day. 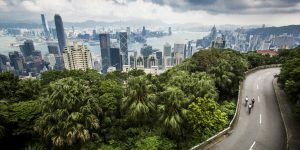 Ocean views and fast, sweeping corners: this is how cycling should be! The Amy Gillett Foundation set itself an ambitious target of raising $150,000 as part of Amy’s Gran Fondo. At the time of the event, the Foundation had raised $75,000. 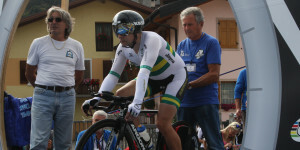 Considering the importance of the cause – whether you’re the next Cadel Evans or simply a commuter – keep in mind that every dollar counts to promote road safety for all cyclists. Full event details available on the Amy’s Gran Fondo event page.